We live in a culture that permits everything, surrounded by people skimming the surface of life, trying to piece together meaning from ever-shifting truths and fleeting fads. But in a world that stands for nothing, you can choose to stand for Something. 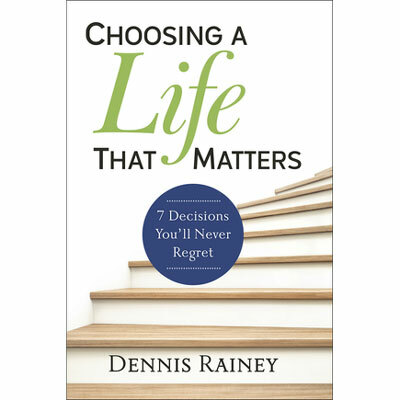 With warmth and wisdom that only comes from weathering the storms of life, Dennis Rainey shares seven ways to not only build a strong foundation, but to choose to live the life of purpose and potential you were created for. When the winds of culture blow, you will be able to stand firm on the Truth. You will be able to choose a life that matters. A life that makes a difference in the here and now--a life that echoes into eternity. You are at a crossroads of culture and Christianity. Which way will you choose to live?